How much you can make with Shutterstock? I made $34,000! How much can you make with Shutterstock? But, in the meanwhile what happened to Shutterstock? They didn’t change the royalties guidelines (still 30% for the producer), sales prices (still $79 for a full HD clip) or user interface. Maybe they just changed their marketing strategy, or they boosted their subscription program. Why do I have to live in a cold city with pollution paying more than half of my income for the rent if I can live in the place of movies like “The Beach” spending less? What’s your answer? No, thanks. I still want to live in my Country. 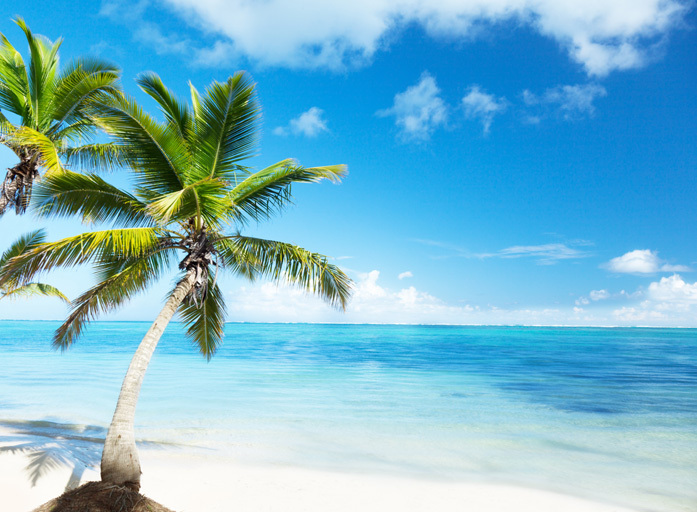 Ok, but before celebrating and start planning your life in a tropical paradise, I’m going to tell you about a big problem for people like me who have a stable income thanks to microstock agencies. I know it’s hard for everybody to live in this world: a friend of mine was fired at 45 with two sons, while his wife doesn’t work. It happened all of a sudden. He had unemployment benefits, but those last only for a few months. Today I get about $3,000 a month, next year I’ll gradually get $2,000. Not that bad! I knew the competition was growing fast, but I didn’t realize it was growing that fast (by the way: the infographic was produced in 2015 and today numbers are even more scaring!). Wow, what a growth! We’re going to make more money! The problem is that in 2013 we were 35k contributors (they paid an average of $149 per month for each contributor), and in 2014 we were 80k contributors (they paid an average of $87 per month for each contributor). 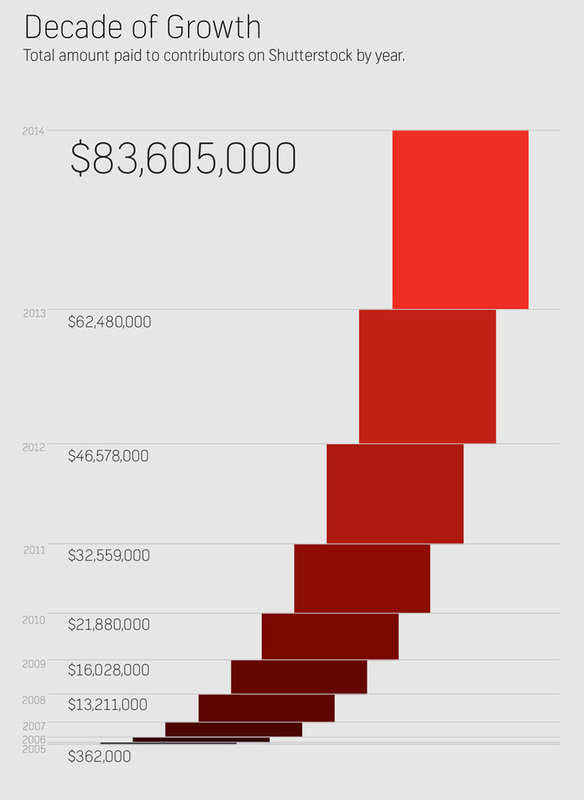 This number scares me because royalties grow less than the competition. Let’s talk about money: this is what you want to read! They show the prices for stock footage. In two year nothing changed. Please notice that in the first screenshot prices are in dollars and in the second one prices are in euros. 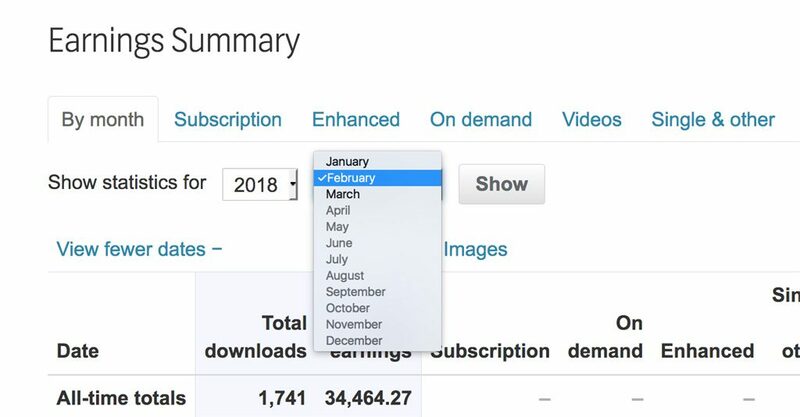 On March 2018 there were 9,756,668 videos on Shutterstock. 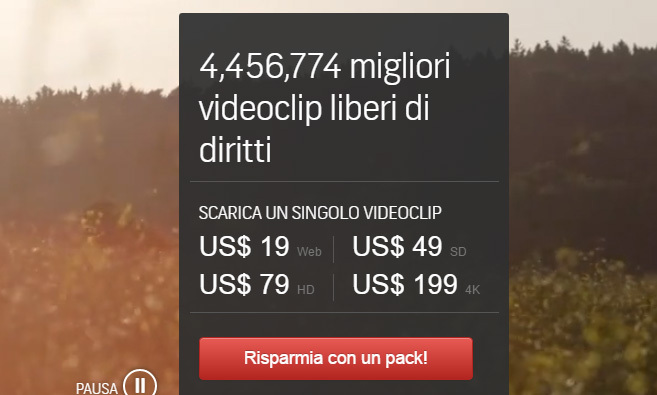 Is $105 enough to convince you to start creating stock footage? Aren’t you sick tired of $1 sales for your stock images? 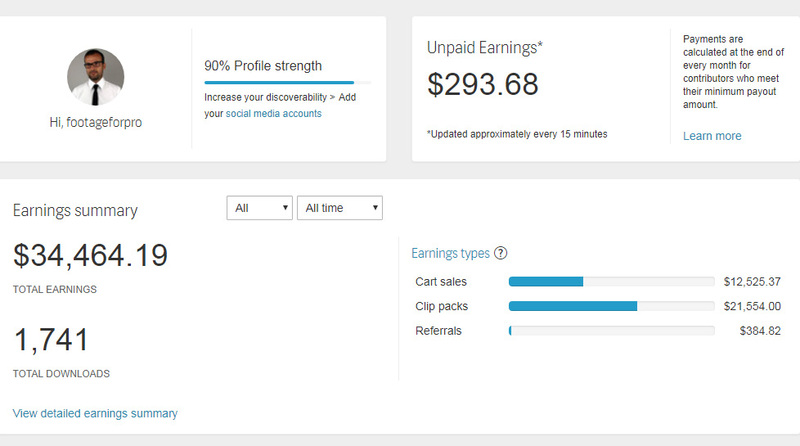 Ok, I’ll let you think about it, but in the meanwhile let me show you how check your sales on Shutterstock dashboard. 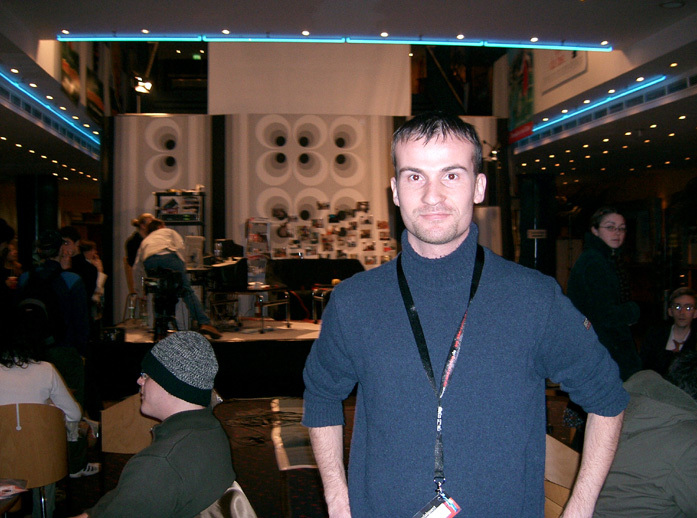 This picture was taken during Hannover Film Festival 2005 (I was there with one of my short films). Today I earn $3,000 and not $300 only because my competitors don’t work properly. Most of the time they are talented photographers and video makers, but they don’t understand what the market wants. They love to be artists, even if they need to be entrepreneurs to make money. For 10 years I’ve tried to be a short film director, but I do not want any more to be selected by festivals. I don’t feel happy to share on Facebook a local newspaper article saying I was awarded something. I just want to earn what I need to keep doing this work. Guys: I don’t spend all my days on the soccer field because I want to play in the Champions League. I’m 40 years old, and in the 90’s I realized I had to grow. I will tell you my vision: if you don’t know anything about photography and you want to start producing stock images, you need to study the technique for only a few weeks. From then on, your earnings will depend on how good you will be to understand what content sells and how to create efficient workflows. Profitable stock images are not just good photos; they are the photos that buyers want. Don’t spend your days with Photoshop! Spend your days using search engines to find the most profitable subjects and to learn how to use the right keywords to describe your content. Documents such as those issued by Shutterstock can be worth thousands of Euros in terms of higher sales. Did you read it before today? It takes less than the time you spend to edit a single image to read. Don’t you think you have to change your mind? 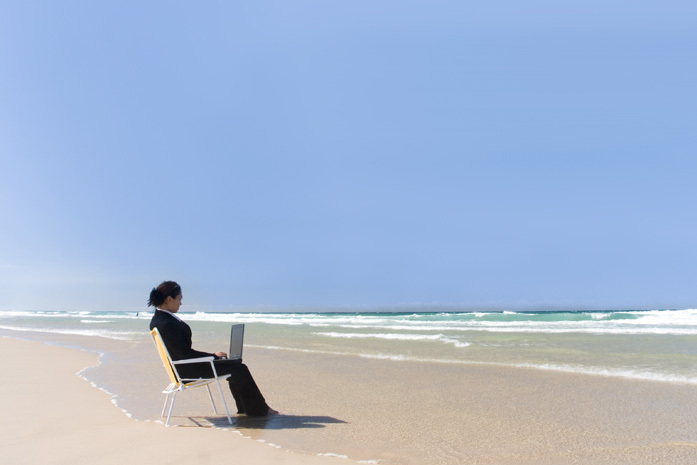 stock images and stock footage are not just hobbies; they are serious business. If you want to be part of this industry hurry up, start studying and producing. Otherwise, you may end up as Nokia’s mobile phones or as Tom Selleck who refused to play Indiana Jones because he didn’t find it an interesting movie. I assume Russia and Ukraine. Russia has 144 million inhabitants and can make sense. Looking at the numbers, the second country belongs to the Old Continent. It can’t be Germany (payouts are less than UK’s). For many reasons, I’m sure it’s not France, and it’s not Italy. It’s in Eastern Europe, so it can only be Ukraine. This proves that to be a producer you can be everywhere, even in a poor country with a lot of problems. If you are a photographer with an empty store or someone who once earned 2,000 Euro for shooting a wedding and, nowadays, if you ask 200 Euro for the same service, the bride and groom may tell you that you are too expensive: stop playing the role of the genius. Be hungry: microstock agencies can save your life! Ukrainian photographers are there to tell you it’s not impossible to do it if you work hard.